Sea Smart‘s vision is to inspire and empower kids globally to protect our oceans. Through their school programs, summer camps and after-school sessions, Sea Smart helps young people foster curiosity, love and connection with our oceans to empower them to be environmental champions. 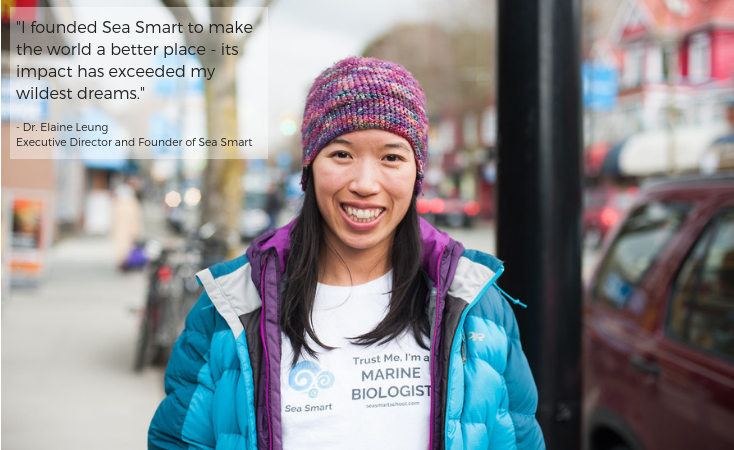 Enjoy our conversation with Dr. Elaine Leung of Sea Smart! Why did you start Sea Smart? As a marine biologist, I’ve dedicated almost half of my life to ocean conservation. When I finished my PhD, I realized that almost 30 of the species that I’ve studied or interacted with will go extinct within my lifetime. You can imagine, I’ve really experienced firsthand the threats our oceans are facing. At the same time, I realized there is something each and every one of us can do to help. I believe so strongly in the power of individual action to create positive change that I started up Sea Smart. Our mission is to inspire and empower young people to love and protect our oceans. Explain your involvement with the G7 this coming September. I am so excited to share that Canada’s G7 team has nominated Sea Smart as one of their ocean education partners. We are working together to deliver a nationwide campaign to teach as many students as possible across Canada about ocean plastic pollution. I have also been invited to attend the G7 Ocean Summit to help develop recommendations on various ocean issues for the G7 Ministers. Describe your team and those involved with Sea Smart. We are so lucky to have passionate marine biologists and oceanographers on our team of educators. Our educators are very knowledgeable about our oceans and well experienced with youth education. We have amazing support from our board members and advisory panel who all come from a wide range of backgrounds to help Sea Smart spread our waves of change around the world. One of the main challenges any non-profit faces is insufficient funding. When you consider that Sea Smart’s target market are schools and parents who have low budgets, you can understand how we are particularly limited. The majority of grants do not cover important costs such as salaries and it is challenging to offer competitive salaries to our dedicated and amazing staff. What has been the most rewarding moment you’ve experienced with Sea Smart? I founded Sea Smart to make the world a better place. The impact Sea Smart has had exceeds my wildest dreams. Parents tell us their kids are always so excited to share what they have learned in our programs and importantly, our students are changing how things are being done at home! Our students won’t let their family use single-use plastics, their families have to buy ocean friendly products, and excitingly, our students are getting their families to spend more time at the beach! How can others contribute to Sea Smart’s work? We are incredibly appreciative to our corporate partners who support Sea Smart through grants, product donations, spreading the word via social media and providing mentorship. We are always excited to work with new partners to meet their company’s priorities while ensuring our values are on the same wavelength. Want to support BC non-profits like the one above? 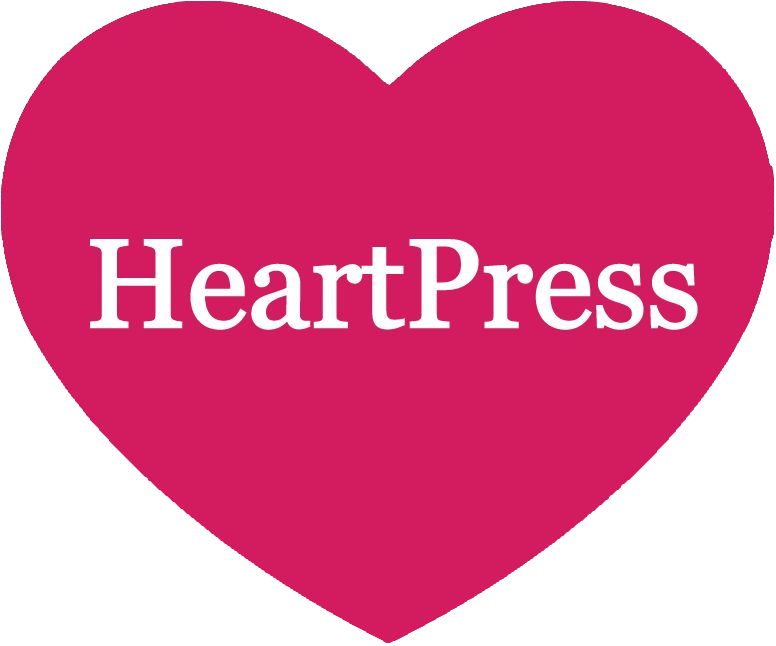 Contact the team at HeartPress PR at 250.216.5480 or community@heartpress.ca.